As data growth and usage increases, so does the need for a more scalable database architecture. Old legacy databases don’t provide the flexibility and performance required for new applications, and NoSQL databases don’t have the robust features companies need. 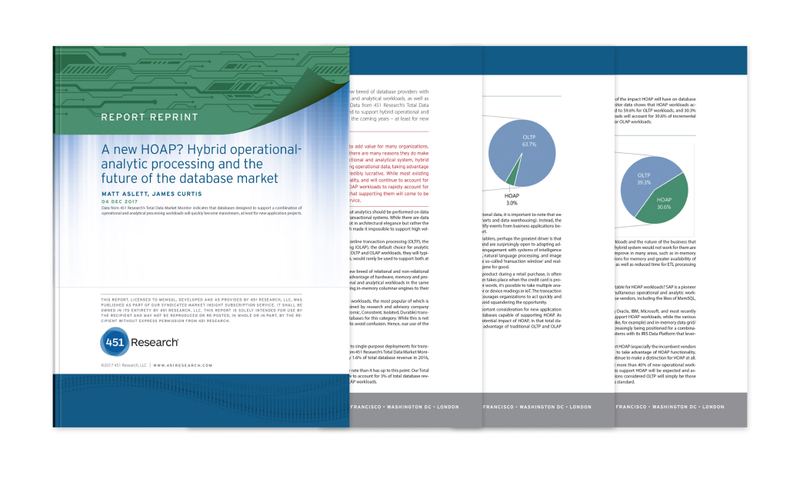 The type of architecture required for modern applications are hybrid operational and analytic processing (HOAP). These types of databases deliver reduced time to insights for your business’s most critical data.